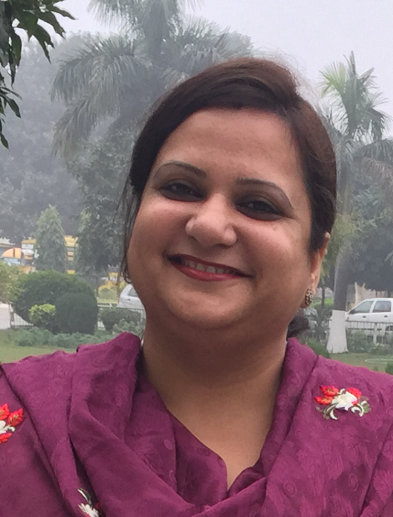 Dr. Nidhi Bal is an Assistant Professor in Hans Raj Mahila Maha Vidyalaya, Jalandhar. She has been benefiting the education field for past 14 years with her learned faculty in Hindi Language and Literature. Her research interest is ‘Interdisciplinary Studies in Literature’ with special reference to Sociology and Psychology. Her meticulous working style and devotion has recently got her awarded by Canadian Government for her outstanding Contribution in Literature in the celebration of 150th year of WSO Canada on December 15th, 2017. She has received plaudits and recognition for her brilliant performances in Dance, theatre, visual and performing arts from time to time. She is a Yellow Belt holder in Martial Arts from National Institute of Martial Arts. She is an illustrious writer and director of nationally acclaimed ‘Street Plays’ foregrounding issues and challenges faced by women and empowerment of women. As a teacher, she has proven herself a stupendous asset for Youth Welfare department, Cell for Women’s Study and Development of the College. She has also been awarded for her services with letter of Appreciation by Indian Red Cross Society. Her major publications are part of famous research Journals like ‘Sahityavlok’, ‘Shodh Disha’ etc. She is a poetess by heart and her poems have been published in renowned magazines and books. She has presented a number of research papers at UGC Sponsored International Conferences and National Seminars. With her aptitude to do the best, she has been an achiever since her student life. She has been a Gold Medalist throughout her academic life. She is an industrious soul who epitomizes the adage ‘Sky is the limit’ for those who want to make a difference.